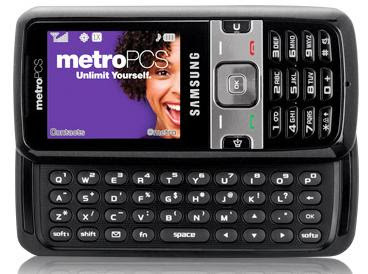 Samsung's new Samsung Messager SCH-R450 cell phone with stylish horizontal slide-out QWERTY keyboard. It also has stereo Bluetooth Wireless Technology, MP3 player with microSD™ Slot and a 1.3 megapixel camera. The 1.3 Megapixel resolution camera has selftimer and photo effects.It has a standard battery with 4hr talktime and upto 250hr standby capacity. There is no Mobile TV & FM Radio features in this phone. This mobile phone will be fit for those who are seriously like Messaging and to send Emails. Price for Samsung Messager SCH-R450 phone is around $200.